Memes are meant to stick in our minds. Little snapshot slogans on social media tend to stay with us, sometimes longer than they should. Some are religious, others political, humorous or sweet. Juxtaposed images and text can leave an impression, for better or worse. Over this volatile election season, I saw some with the slogan “Eat the rich.“ Such words were not superimposed over a thick, juicy steak or luxurious looking chocolates. It’s an angry phrase, spoken against the wealthy. Some call “them” the 1% or the 3% or whatever percentage of persons is portrayed in possession of an ungodly wealth. 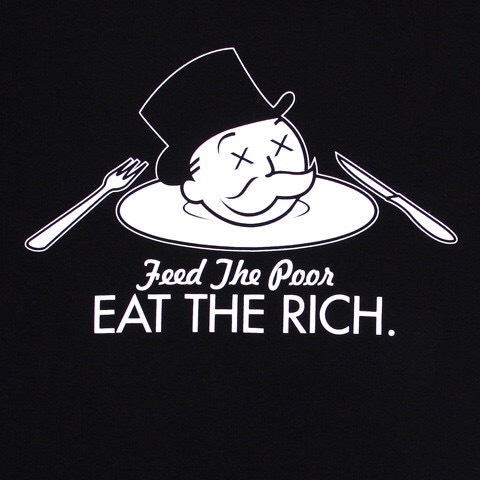 “Eat the Rich is an abbreviation of a saying attributed to Jean-Jacques Rousseau: When the people shall have nothing more to eat, they will eat the rich,” according to Wikipedia. The French Revolution saw angry mobs of men crying, “Off with their heads” as the aristocracy fell to the guillotine, in bloody revolt and a revenge executed against the privileged “haves” by the suffering “have-nots.” Even today, calls for justice inflame crowds to destroy the property and livelihoods, even entire neighborhoods of others in the name of standing up for the disadvantaged poor. Never, however, are Christians given license to hate anyone, not even the wealthy. Our divine mandate to love our neighbors always includes helping the poor, but never excludes the rich as persons beyond the reach of God’s own grace or our equally authentic Christ-like love. Jesus loves and saves wealthy people, too. Christians are not instructed or allowed to check anyone’s account balance before deciding whether that neighbor is rich or poor enough for our love, not even to see whether they’ve tithed. Zacchaeus is a fine case in point, but he’s not the only wealthy person Christ calls to faith. Jesus causes great offense to many a wannabe social-justice warrior in this passage, even in his own time. Some in the crowd kindled hot, hateful thoughts or angry accusations that Jesus was showing favoritism and failed to condemn that man’s unfair business practices with fervor and fury enough. The passage identifies Zacchaeus as “a chief tax collector” with great wealth. Likely other tax collectors reported to him; he grew rich while they taxed the poor. As a Jewish man, Zacchaeus would have been marked as politically corrupt, a traitor to his own people. He was an agent of the Roman government. His great wealth only accumulated while the threat of Roman law–including the force of occupying Roman soldiers–stood behind Zacchaeus’s every demand for tax monies. Some of it stayed there in his pockets. His hands were dirty with the filth of wealth that served their Roman oppressors. The portrait of Jesus as a social-or socialist-revolutionary is often held up to our eyes, as though Jesus only ever sides with the poor. Scripture does not support such a political narrative. The people of Jesus’ own time longed for a civil Savior to empower the people oppressed by the Romans and establish an alternative government. In the end, they much preferred a murderous, revolutionary Barabbas to the real Jesus, the true Lamb of God, who takes away the sin of the world. Even today, many seek an idyllic kingdom of Barabbas more in keeping with their own longing for the violent overthrow of whatever wealthy powers that be. As Jesus explains to Pilate, “My kingdom is not of this world. If my kingdom were of this world, my servants would have been fighting, that I might not be delivered over to the Jews. But my kingdom is not from the world.” (John 18:36) Few preach and seek after the divine reality of this Jesus who “came to seek and to save the lost.” He comes to save them from something far more serious than material poverty. Zacchaeus is not shown favor or redeemed because of his wealth, neither is he saved because he rids himself of a certain portion. Jesus has mercy on all who have sinned. We could never pay back all we owe to God and others. Yet the love of God revealed to him in Christ Jesus, freely given, moves Zacchaeus to freely give to others in love and thanksgiving. We eat the rich fruits of his cross, feasting on the forgiveness of sins poured out generously for poor sinners. 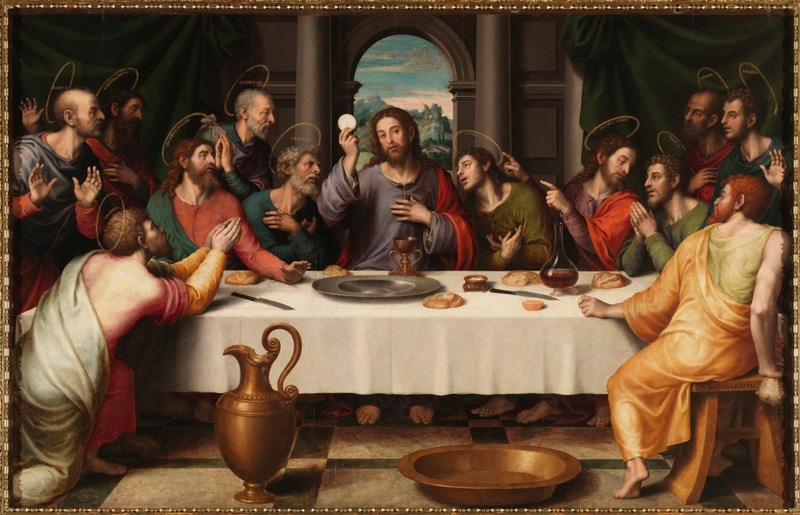 Jesus prepares a table before people like Zacchaeus, in the presence of his enemies. His sacred cup runneth over with pure goodness and mercy sure to follow us all the days of our life. With Zacchaeus, we will dwell in the house of the Lord forever. Jesus shows Zacchaeus that even he is forgiven, beloved and blessed. Whatever shameful name the crowds might cast upon him, Christ has spoken a better one to Zacchaeus, calling him a “son.” Zacchaeus knows whom to believe. Embracing faith in the name of God’s Son changes everything. It brings an end to his walking in shame and fear of what others must think, might say or do. It brings a courage to love and serve even the most critical, hateful and ungrateful sinners, because Christ died for them, too. Only faith in Jesus can do that. Through such faith Christ freely bestows His righteousness to those undeserving of it. Through such faith, Christ brings forth the very righteousness of God–unleashing your lively love freed to serve neighbors, great and small.